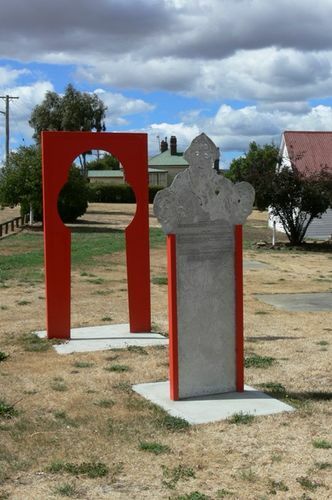 Tribute to bush nurses who worked in and around Avoca, Rossarden, Stories Creek and the Fingal Valley unveiled to mark International Nurses Day on 12 May 2009. The interpretive feature recognises the invaluable service that the bush nurses provided in the region up until 1973. The feature includes snippets of information about two local nurses, midwife Maria Raadke and Sister Greta Llewellyn. The bush nurses dealt singlehandedly with medical emergencies, sickness and childbirth often in harsh and trying conditions.